What about Street Art? Many artists surely are in it to become famous and make money, and this approach is legitimate. Others probably want to spread their often political message or simply love the craft of their work, or they are in it for the thrill they get out of the guerrilla act. Tymon Ferenc de Laat was born in Delft, the Netherlands and graduated from the Willem de Kooning Academy in 2001. I saw one of his murals on a wall of the King Kong Hostel and found out he used this mural to ask his girlfriend to marry her, she said yes. He worked on the mural together with the Dutch artist Robert Rost. Iranian Stencil Artists ICY AND SOT are based in Brooklyn, NY. Their artwork is about war, peace, hope, despair, society issues and human rights. French artist Invader is well known for his video game characters. He believes in “liberating Art from its usual alienators that museums or institutions can be”. This is at the Poortgebouw. Street Artist Exit/Enter from Florence is best to be described as one of the top street artists from Italy. What do you think about the quote of Dutch artist Willem de Kooning? Do you also believe you have to change to stay the same? They put these words on the façade of the Willem de Kooning Academy (WDKA) in Rotterdam. London, Great Britain. Street Art London. Brunswick, Germany. Visit the "Happy Rizzi House" in Brunswick. Berlin, Germany. Berlin –stroll through an open air gallery: Part 1. Berlin, Germany. Berlin –stroll through an open air gallery: Part 2. Berlin, Germany. Berlin –stroll through an open air gallery: Part 3. Cape Town, South Africa. Street Art in 7925 Cape Town: Hipster, social justice and tolerance. Los Angeles, USA. 1 wall mural in Los Angeles. I really enjoy street art in all cities. Melbourne has some incredible examples, especially in the laneways in the city. Absolutely agree, Melbourne is one of these places which triggered my interest in Street Art. Hi Henry, the Street Art in Australia is pretty great, totally understand what you mean. What about the scene in Canada? I absolutely love that one with the purple hat and colourful face - so full of colour and life! I never knew Rotterdam had such great street art! If I ever visit, I must try and see some! You should visit Rotterdam if you are into Street Art. I reckon you are so spoiled for choice in beautiful London. We love seeking out street art in the cities we visit! 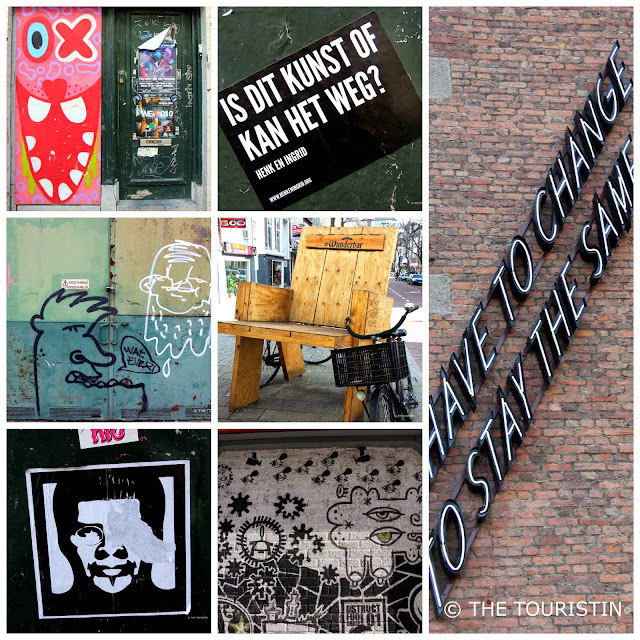 We haven't had the chance to visit Rotterdam yet, but will definitely check out the street art when we do! We've saved this article to our Pinterest Street Art board for future reference!